February 1916 – early this month a “spring clean” has been going on, and the whole of the huts have been cleansed and cleaned. Firing at the Milbrook Range continues most days. 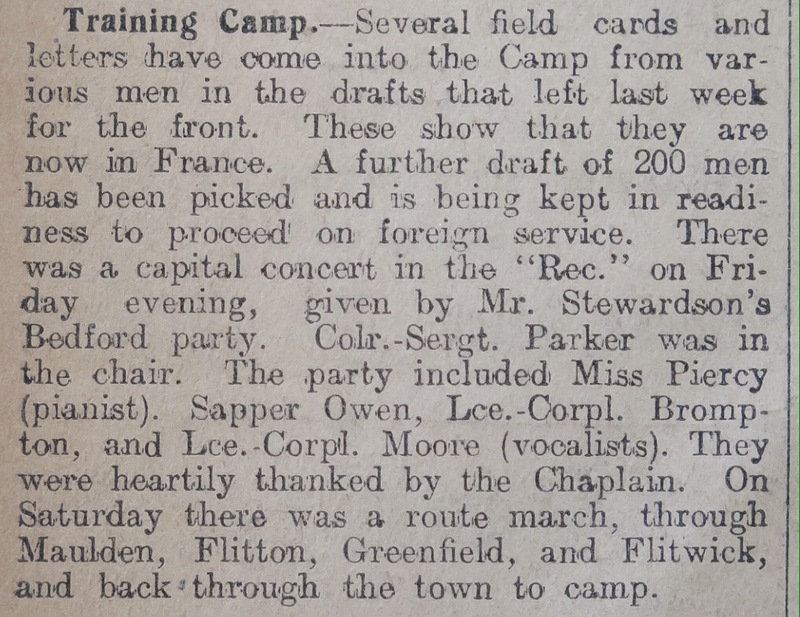 Another four drafts – totalling about 480 men – have been picked out for active service. The Regimental Band gave each draft a hearty send-off. The Band journeyed into London with the third contingent and marched the Bedfords to Waterloo Station. In a Luton a Tribunal has heard the cases of a number of conscientious objectors who asked to be excused from military service rather than enlist as required by the Derby Scheme. Sad news has been received of 2nd Lieutenant Collisson who was formerly at Ampthill Camp to assist with training. At noon on February 23rd Lieutenant Collisson was shot by a sniper and he died instantly. Rector Collisson and the village of Gravenhurst have sustained a great loss. Next installment to be published on 15 June 2016…. 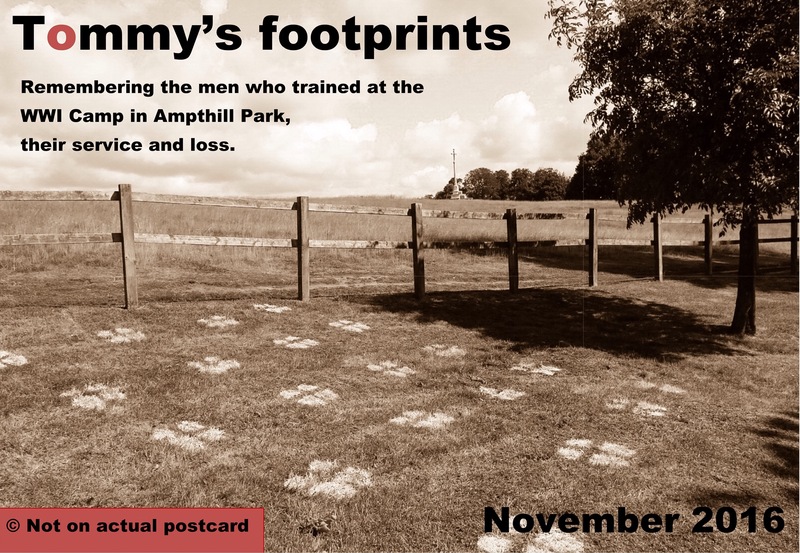 This entry was posted in Camp Diary, Uncategorized and tagged 1914-18, Ampthill, Ampthill Park, Bedfordshire Regiment, Bedfordshire Training Depot, Camp Diary, Centenary, conscientious objector, Duke of Bedford, Evelyn Collisson, Gravenhurst, Great War, Harry Foster, History, James Adams, Millbrook, Peck, Tanqueray, The Sandbags, tribunal, War Memorial, WWI on June 1, 2016 by Ste H.
November 1915 – Since the Depot opened this time last year 6 drafts, some 500 well-drilled local men have been sent to the Front. In early November another 100 recruits* were accepted which is very encouraging and brings the Camp to 1050 strong. To accommodate the burgeoning number two large structures have been provided at Ampthill Park. 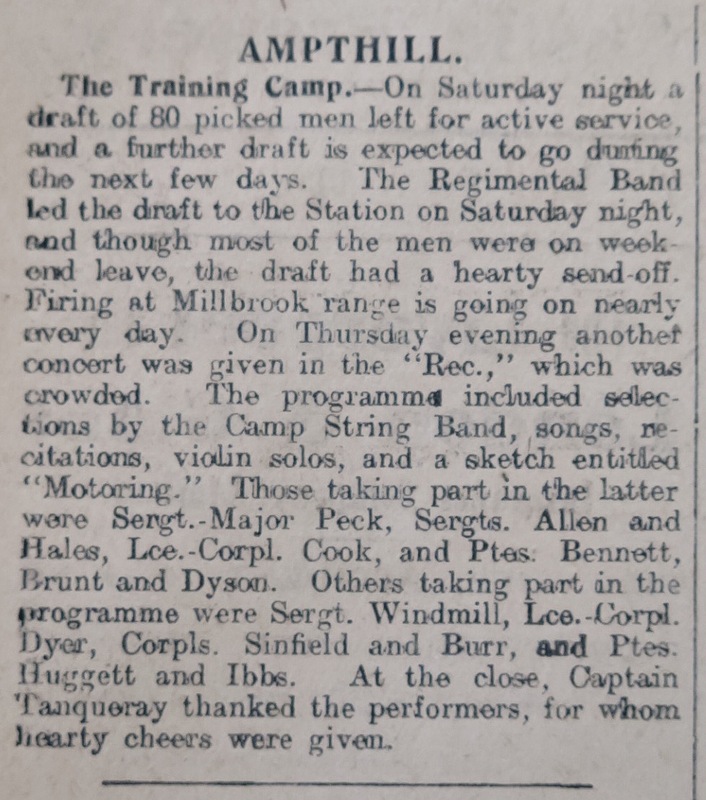 The Wesleyan Church Council of Ampthill have most patriotically placed the large room of their Institute at the disposal of the Commanding Officer of the Training Depot to accommodate some of the men, and His Grace has gratefully accepted the offer. Further buildings are being added, the latest being a tailor’s shop. At the Millbrook Range rifles are now fitted with telescopic sights (the Aldis Telescope and the Gibbs Magnifier) and the latest type of periscope. 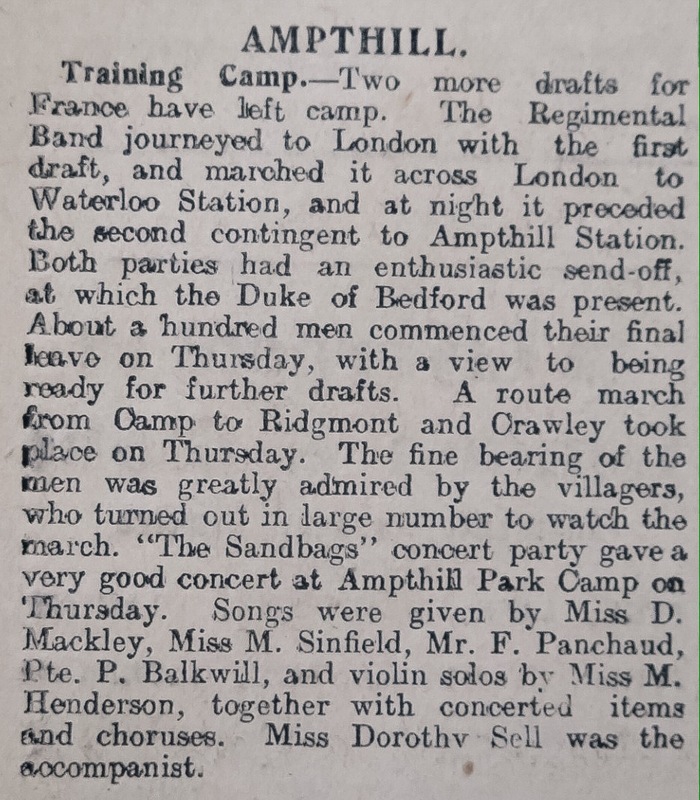 On Wednesday, November 24th a number of staff officers of the 59th (North Midland) Division visited the Camp anxious to see the training facilities which exist at the Depot. The squads under instruction at Machine Gun Drill (Maxim and Colt) were first inspected. The staff officers next witnessed recruits at drill and physical training and then passed on to the Miniature Range, the Rapid Loading and Firing Trench and the Obstacle Course. Meanwhile the Signallers under instruction had been engaged in laying telephone wire with Buzzer instruments from the Orderly Room to the Entrenching Ground, a mile distant. When the officers reached the ground the relief of the trenches was carried out. 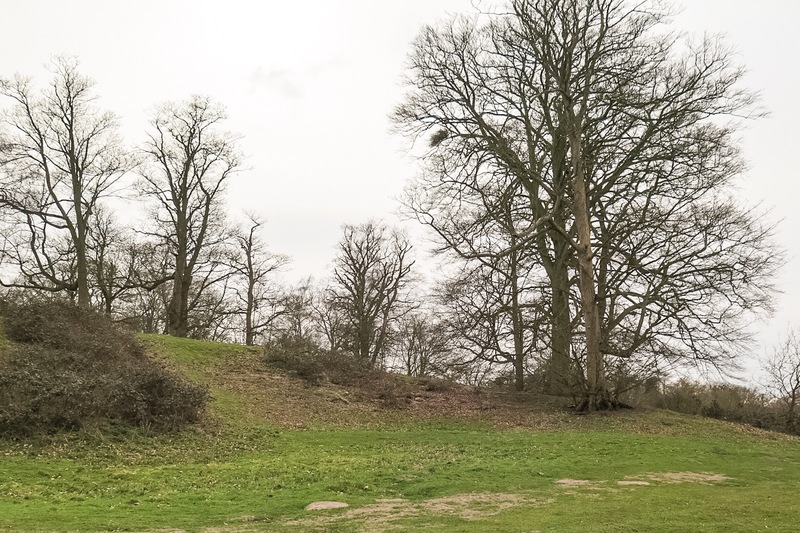 The various kinds of entrenchments, as well as the loopholed parapet and entanglements were visited in turn, great interest being taken in the method used for extending the trenches by sapping. Several of the staff officers had lately been in the trenches at the Front, and it was satisfactory to hear them say that the entrenchments thoroughly up to date in every respect, and in the matter of construction they were far superior to any trenches at the front. *The surge in volunteers may be an early reaction to The Derby Scheme which came in from 16 October 1915. The Derby Scheme was intended increase the number of British fighting men – it moved voluntary enlistment towards compulsory conscription. Thirty stretched bearers have been trained. These local people assist at Ampthill Midland Station by helping to remove the wounded from train to ambulances for despatch to Wrest Park Hospital. Next installment to be published on 1 May 2016…. 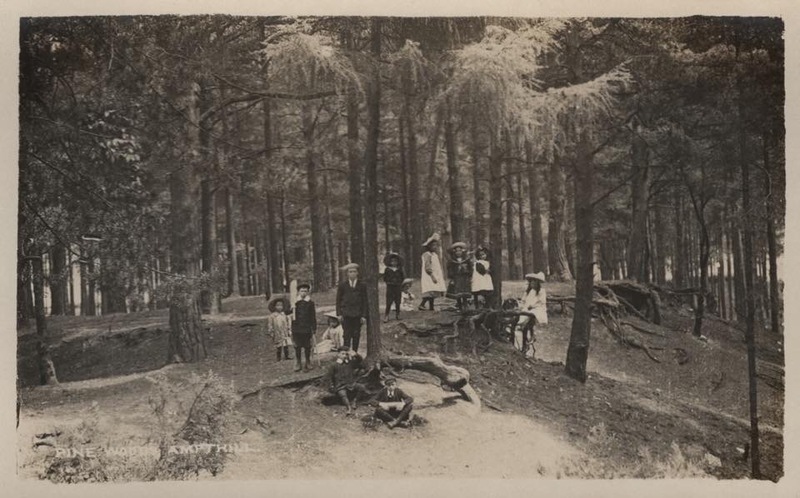 This entry was posted in Camp Diary, Uncategorized and tagged 17865, 18805, 1914-18, Aldis Telescope, Ampthill, Ampthill Midland Station, Ampthill Park, Arthur Denton, Arthur Woodcroft, Bedfordshire Regiment, Bedfordshire Standard, Bedfordshire Times, Bedfordshire Training Depot, Camp Diary, Christopher George, Colt, Constance Russell, Dr Beauchamp, Gibbs Magnifier, Great War, Hertbert Bland, Leonard Beck, Maxim, Millbrook, Wrest Park Hospital, WWI on April 15, 2016 by Ste H.